With UK consumers complaining about products and services nearly once a second in 2013, Moneypenny has launched a new campaign to put good service at the heart of British business. With staggering figures from Ombudsman Services suggesting that UK consumers complain about products and services every second of every day, with further millions of victims of poor service afraid to complain or not trusting companies to act, telephone answering specialist Moneypenny has launched a new campaign aimed at improving customer service and showcasing examples of how it should be done. 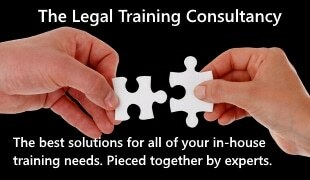 Law firm of all sizes across the UK are encouraged to get involved to highlight examples of good practice. #ServiceFirst has been launched with Moneypenny’s must-do ‘10 Commandments’ offering advice on customer service for businesses of all sizes. Every month from now until the end of the year #ServiceFirst will highlight each of the commandments in turn, while inviting people to use the hashtag to nominate businesses and organisations who they feel are delivering great service. Bernadette Bennett, Commercial Account Manager at Moneypenny adds: “We know from working with more than 900 law firms that providing the best experience possible for the client is paramount. By using our service, firms of all sizes know they are providing consistent, professional service on the telephone every time, however customer service is about the whole package so we are looking to showcase all kinds of examples of good practice across the sector. As so often, it can be the very simple things that make all the difference, so we are not only looking for the systems, processes and regular behaviours that make every client feel important, but the small gestures that really make the difference to the overall client experience. To keep up to date with the #ServiceFirst 10 Commandments or to nominate a business, visit Twitter.com/moneypenny. In December 2014 from all the nominations, a #ServiceFirst judging panel will award a prize to the company demonstrating what it considers to be the best example of customer service during the year. Moneypenny’s dedicated legal team supports over 900 law firms and is endorsed by the Law Society.